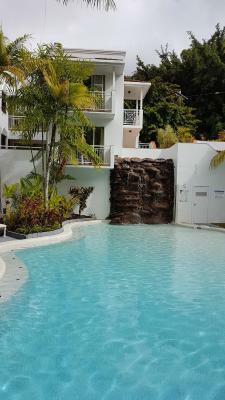 Lock in a great price for Alassio Palm Cove – rated 8.2 by recent guests! Great location so many eateries nearby. Very family friendly. Great pool for the whole family. Very relaxed atmosphere. Nice spacious clean apartments. Love the location. I’ve stayed here a couple of times and have no complaints at all. Always clean, always friendly staff, and think it’s great value for money. Nice almost colonial style apartment. Clean. Nice and helpsome lady in the desk. Our ground floor apartment was larger than we expected with the bonus of direct access to the pool. Access to cafes and restaurants was very easy . 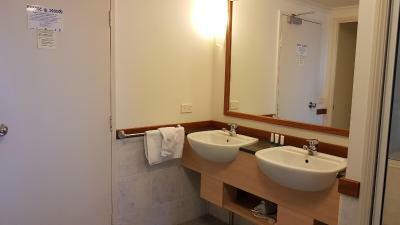 Great location and clean, comfortable accommodation. 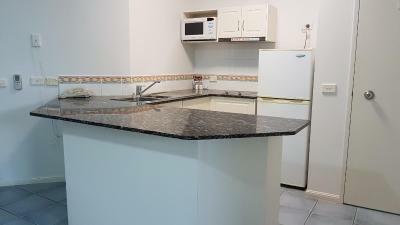 The property was clean , comfortable and in a fantastic location. The Administration Lady was helpful and informative e.g. what to see , where to go , how to get there , how to keep safe etc.. and can take care of bookings/arrangements for any outings ,events etc. that you might like to experience. Café and Pub below the Apartment were fantastic , very friendly ,welcoming and great service. 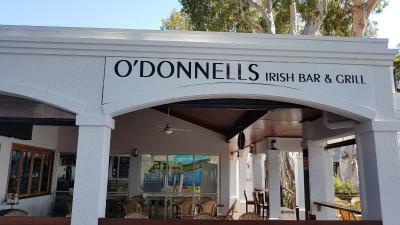 Location is perfect, amazing eateries and bars within walking distance. Beautiful pool area with waterfall and excellent mood lighting for night time entertaining. 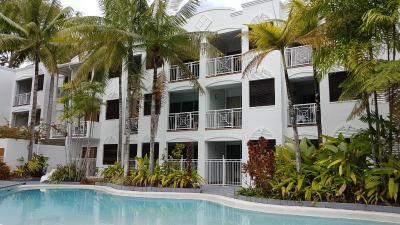 Alassio Palm Cove This rating is a reflection of how the property compares to the industry standard when it comes to price, facilities and services available. It's based on a self-evaluation by the property. Use this rating to help choose your stay! Located on the beach in picturesque Palm Cove, Alassio is an apartment complex just 35 minutes’ drive from the Cairns city center and 25 minutes’ drive from Cairns Airport. Alassio offers studios and apartments, all overlooking the hotel’s tropical gardens or the Coral Sea. 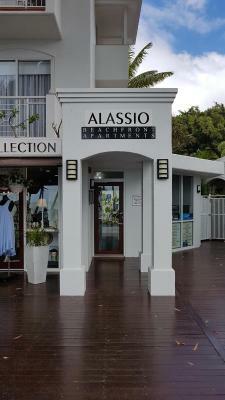 Alassio on the Beach is located at the northern end of Palm Cove and is a 5-minute walk to the resort center with its many shops, bistros and restaurants. 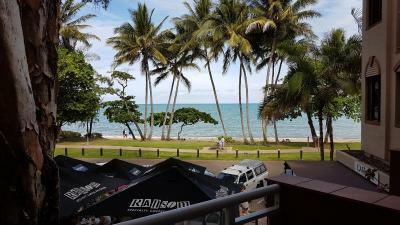 Port Douglas is a 40-minute drive away. 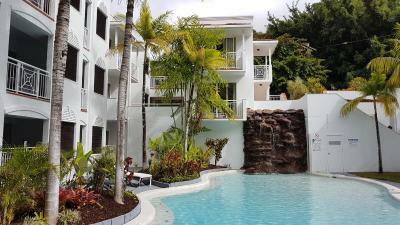 When would you like to stay at Alassio Palm Cove? This studio features a king-sized bed or 2 single beds. 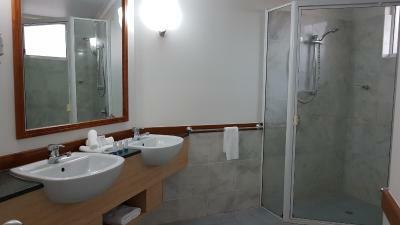 There is a wardrobe, separate toilet and separate bathroom with spa bath. There are pool & garden views from the small private balcony. 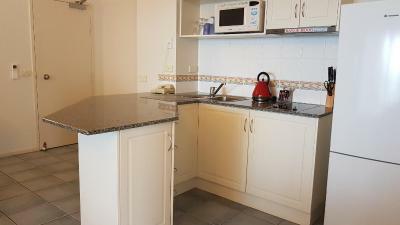 Overlooking the Coral Sea, this apartment features a large private balcony, separate bedroom with ensuite, kitchen with refrigerator, microwave and air-conditioning. Overlooking the Coral Sea, this apartment features a large private balcony, a spa bath and a kitchen with a microwave and refrigerator. This air-conditioned. studio features ocean views. 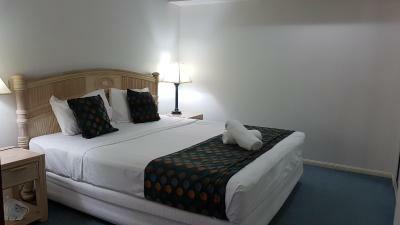 There is a king-sized bed or 2 single beds. 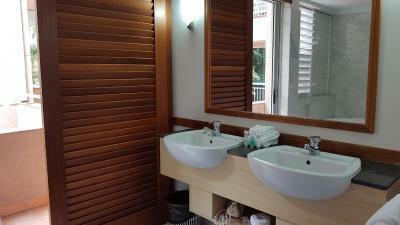 A wardrobe, separate toilet and separate bathroom with spa bath is featured. Enjoy views of the Coral Sea from the small private balcony. 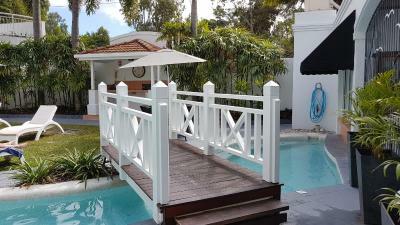 House Rules Alassio Palm Cove takes special requests – add in the next step! Alassio Palm Cove accepts these cards and reserves the right to temporarily hold an amount prior to arrival. Please note that American Express cards are not accepted at this property. 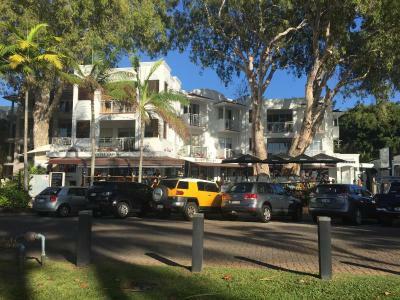 Please inform Alassio Palm Cove of your expected arrival time in advance. You can use the Special Requests box when booking, or contact the property directly using the contact details in your confirmation. Furnishings, crockery, cupboards were very minimal. There was a feeling of do's and dont's with signs etc. I didn't like this, no feeling og hospitality. No washer/dryer in room despite being advertised on booking.com as having these - had to use the guest laundry downstairs & pay $3 a load. 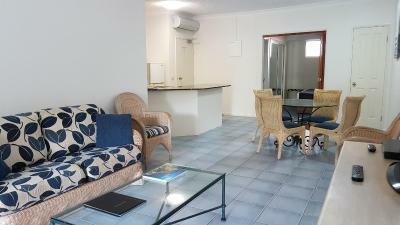 No lift; no dishwasher; unit & grounds smaller than expected; communal spa was not operating & had leaves & rubbish in it; Restaurant at the front of the property comes right back into pool yard and diners look through bars into the pool area + noise from the restaurant echos up into the units. Pool not cleaned regularly. Dirty dishes in cupboards, but they charge you if you leave dirty dishes. They charge you if you leave rubbish in the unit, but don't actually tell you that and get away with charging you by getting you to sign a document when you check in - make sure you read this as they rush you through it. Patio furniture has a nice thick layer of dirt and all inside lounges have dirt, rubbish and filth underneath the cushions. Give you a leaflet that says to contact Resident Manager if you have any emergency issues after hours - but don't give you a contact number anywhere to contact anyone. There are definitely better more friendly places to stay. We wouldn't stay here again. 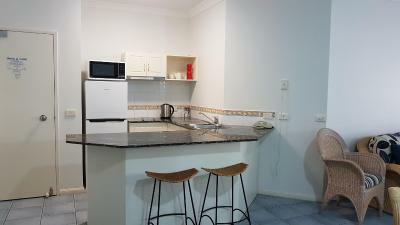 the apartment was hot as the a/c didnt reach past the bedroom, & the fans were little better than useless , there was no dish washing liquid, tea towels, paper towels, tissues ect..
A view of the beach would have been nice, especially given that some of those units were empty during our stay. The view of the pool was minimal. A dishwasher is almost the norm these days, but this unit didn't have one.